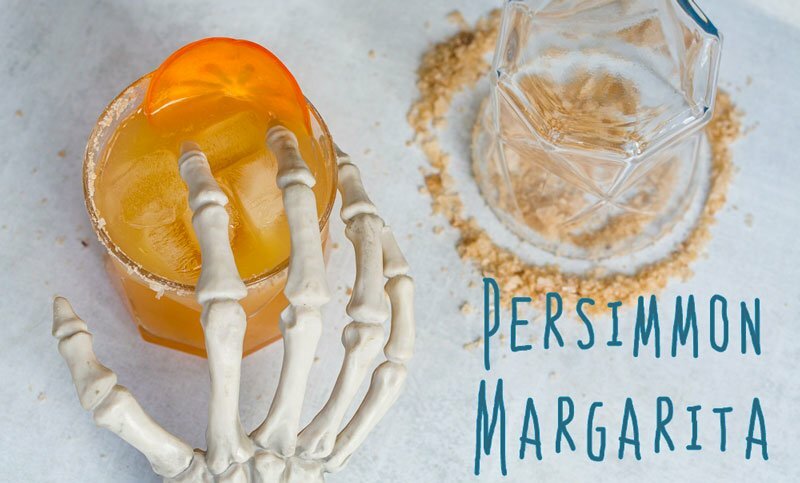 Creepy Cocktail season is here! 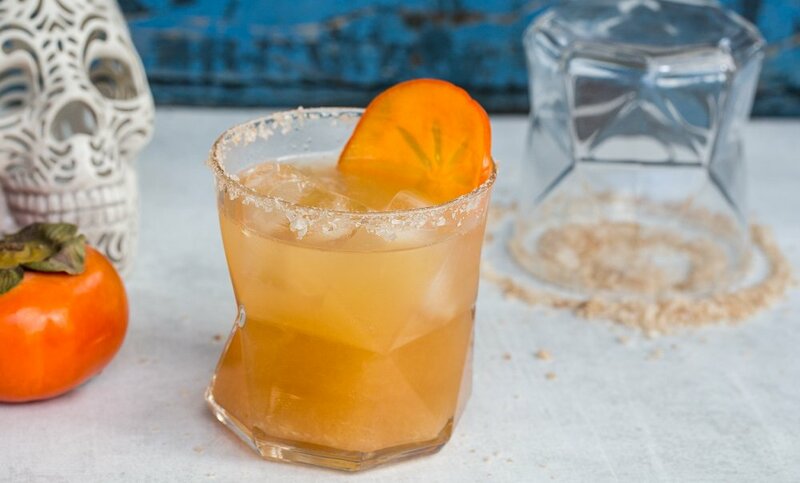 We’re kicking it off with this delightfully sweet & sour Persimmon Margarita with a spiced simple syrup and smoked salt rim. You can add pizazz to any margarita with a flavored simple syrup. What’s a simple syrup? It’s equal parts sugar and water, boiled until the sugar is fully dissolved and completely suspended in the water. Whenever you have a cocktail that is too sour or too strong, a dash of simple can balance it out. At Hipcooks, we’re not so simple with our syrup (ha ha) — we take the extra opportunity when making it to infuse flavor! Be it herbs, spices, or even chilies: boiling the sugar and water with other stuff is the way to go! Bring the water, sugar and spices to a rolling boil, then simmer for about 5-10 minutes until your kitchen smells great. Strain the simple syrup and allow to cool completely before using. Any extra keeps in your fridge for almost forever. Extra uses of this simple syrup (as if cocktails aren’t enough), would be to mix into your coffee or to drizzle on vanilla ice cream or pancakes instead of syrup. To make the persimmon puree, you’ll need a nicely ripened persimmon. (The soft Hachiya variety is perfect for this. Beware! This varietal is very astringent until it is super-soft. The flesh should be pudding-like). Cut in half, scoop out the flesh, and pop into a blender to whizz. If you need more liquid, you can add simple syrup. If you are using persimmon slices to garnish, ripened Fuyu persimmons are the ones you want. They don’t get too soft as they ripen, and make the perfect garnish. Prepare a rocks glass by running a lime around the rim and coating it with the flake salt. Fill the glass with ice. Plop all the ingredients (minus the garnish) into a cocktail shaker with plenty of ice and shake, shake, shake your moneymaker. The more you shake, the yummier the drink. Using the strainer, pour the cocktail into the prepared glass. Slide a persimmon slice on the edge of the glass for beauty points.